Are you looking to get above your competitors? Want to know what it takes to get great local results? Then this Search Engine Optimisation (SEO) guide is for you. 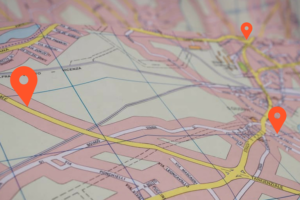 Here we will take you through the basics of local SEO and give you the knowledge and the tools to help your business succeed. 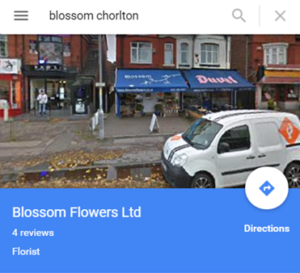 First stop on local SEO success is the setup of a Google My Business listing. If you want to get to the first page of Google then this could be the key. The steps below show how to setup your business listing and take a step closer to the first page. So make sure you’re sitting comfortably and you won’t be distracted, and let’s get started. Do a search on https://plus.google.com, search for your business and click on the most relevant listing to your business. This is important to get right. If you sell cheeses you don’t want to be listed as a computer software specialist! Once you’ve claimed your business you will then be taken through the claiming process. There are normally a couple of ways to verify a business and these include an automated phone call to your business number or a verification code sent by postcard. However, be aware the postcard method can take a couple of days. Don’t worry – if there are not listings for your business you will easily be able to add your own listing. 54% of searches on Google mobile about businesses are from people looking for opening hours. This might sound like an obvious one but remember to put your business hours in so people know when your business is open. Opening times should match what is on your website, so if your website is not up to date also make sure this is updated. Now is the time to really sell your business. The description field needs to be readable and unique content that tells people about your business. Ideally this should be between 150 and 300 words in length. TOP TIP: Use hyperlinks to link to relevant pages on your site from your description, this will help people quickly find what they are looking for and go straight where they want to go. E.g. SEO services. We all love a good photo (no not that one of the cat in the tie) so make sure you upload the best photos possible for your business. The ones that affect how your Google listing will appear in the search results are: Profile photo, Logo photo and Cover photo. Good quality images are key. Once you have added all of the information about your business your local SEO listing should be 100% complete and accurate. So is it now time to: sit back, relax and wait for new customers to get in touch? Well, no not quite, there are still a few more things that will help to give you the competitive edge so grab a brew and prepare for the next step. 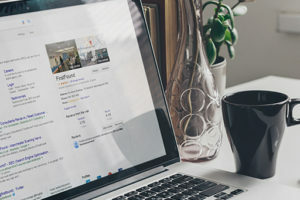 As with the Google My Business listing you need to make sure that the basic information on your website about your business is correct, if you can’t change this you may need to speak with your website designer to do this for you. Help people to trust your company by listing reviews and testimonials on your website. Important: these reviews need to be genuine! A good way of helping with this is to add social profiles or to link to external review sites where the reviews have been posted. And at last, you’ve arrived at the final step – business citations. Ensuring that your business citations are correct is a key part of making your website visible on local searches. The information about your business needs to be consistent and accurate across the main data aggregators and key partners in the UK. Some of the key UK websites to check are: thomsonlocal, scoot, touchlocal, Central Index, The Mirror, bing and so on. Once you have checked the data aggregators above you can start the final and thus exciting task – building new citations for your business. You may only care about Google for your search engine listings but there are other opportunities for you to sew your seeds and build valuable back links. Take a look at the top national directories and gradually work your way through local directories. Depending on your business sector there may also be a chance to list yourself on industry specific directories. These are great to get a relevant citation for your business. Schema markup is a way to help the search engines understand more about your website and what services your business provides. It is a way to markup information on your website using code which helps to provide users with more information about your business. Schema markup is a collaboration between Google, Yahoo and Bing which means it is supported by all the major search engines and can help your business across all of these. The LocalBusiness schema property includes options for opening hours and types of payment accepted at your business. This helps to tell customers when your business is open and also these hours can then show up as part of the listing in the search results pages. This is the physical address of your business if you have multiple locations you can markup each of these with schema. Again these results can then show up in the search engines and help to enhance rich and featured snippets for your business. 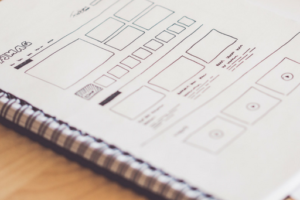 For bigger companies, it may be worth using the Organization schema markup which lets you specify your logo, social profile links and corporate contact information. These can help to enhance your knowledge graph entry and help to generate brand signals. One of the easiest ways to implement schema markup on your website is to use Google’s free Structured Data Markup Helper. Using the helper you can select the most relevant type of markup so for our purposes of promoting your business locally this will be Local Businesses, you can then either paste in your HTML or put your URL to start marking up your data. 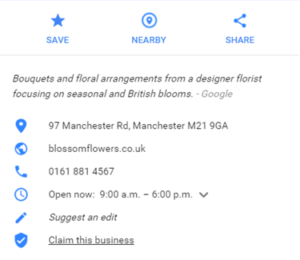 You can start tagging your data by highlighting text and selecting the type of elements you want to markup so these would be your business address, opening hours and phone number. Once you have finished highlighting and marking up the elements you just need to hit the Create HTML button. If you don’t have access to make coding changes then you may need to ask your developer to implement the markup for you on your website. Now you’ve successfully followed this local SEO guide it will begin to help your business on its journey to the first page of the search engines. If you have any other local SEO tips why not let us know in the comments below? 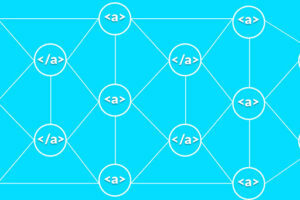 Using schema for the contact details is also a good technique for ranking well in local searches. Great post!